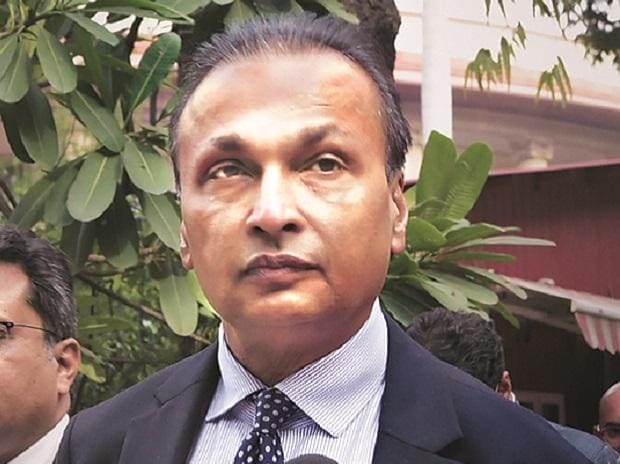 The NCLAT has sought a response from Reliance Group Chairman Anil Ambani within 10 days over a contempt plea filed against him and other officials by the minority shareholders alleging non-payment of dues by one of its group firms. An NCLAT bench headed by Chairman Justice S J Mukhopadhaya said he would like to hear Ambani and other respondents over the contempt petition filed by HSBC Daisy Investments (Mauritius) and some other minority shareholders of the company over alleged breach of undertaking for payment by group firm Reliance Infratel. "We intend to hear the learned counsel appearing on behalf of the contemnor-respondents (Anil Ambani and others)," the bench said. "They may file short reply within ten days. Rejoinder, if any, may be filed by the appellants within a week thereof," it added. The National Company Law Appellate Tribunal (NCLAT)has directed that the matter be listed on May 20, 2019 for admission. During the proceedings, counsel appearing for HSBC Daisy submitted that the order passed by NCLAT on June 29, 2018 amounts to an undertaking given by the parties in a consent decree over payment of Rs 230 crore and a breach of such undertaking amounts to Contempt of Court. Earlier, on January 2, NCLAT had disposed of the contempt plea filed by HSBC Daisy on technical grounds. However, the tribunal had given it the liberty to withdraw its plea to approach again with its contempt plea against the officials of Reliance Infratel. HSBC Daisy and other minority investors of Reliance Infratel had moved National Company Law Tribunal (NCLT) Mumbai alleging oppression and mismanagement after the company had allegedly not taken their consent for selling the tower and fiber assets. NCLT in March 2018 halted the sales process, following which Reliance Infratel moved NCLAT challenging the order. Later, on June 29, Reliance Infratel and its minority shareholder, HSBC Daisy submitted final consent terms of their settlement before NCLAT over the sale of tower and fibre assets. Following this, the appellate tribunal had disposed of the appeal filed by Reliance Infratel.